Algimantas was established in 1993 and has published more than 200 books. 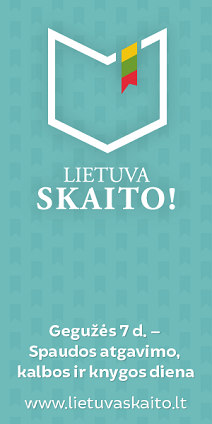 Our main publishing interests are books about the Republic of Lithuania, in Lithuanian and other languages. 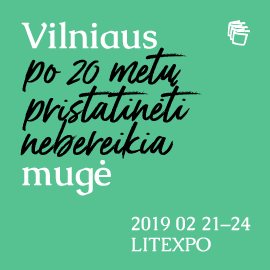 Founded in 1990, Alma Littera is one of Lithuania’s main publishing houses, specialising in fiction, non-fiction, reference books, textbooks, and other publications for all age groups. Alma Littera publishes works by both local and foreign authors, books for children and youth, science fiction, non-fiction, research publications, reference books, dictionaries, encyclopedias, textbooks for schools, and other educational material. Founded in 2003, Apostrofa is a small independent publishing house, which publishes fiction and non-fiction by Lithuanian and foreign authors (translations from English, German, Icelandic, Polish, Estonian, Swedish, French, Czech). Apostrofa’s list of published titles includes books of the highest quality, which have been awarded prestigious prizes in Lithuania for their content and design. Artseria was founded in 2003 as the publishing arm of the Artists’ Union. It publishes a magazine on art, art books, the series “Contemporary Lithuanian Artists” and “Lithuanian Art at the Turn of the 20th and 21st centuries”, monographs, catalogues, and publications of the Lithuanian Artists’ Union. Our books consistently win awards and diplomas in Lithuania’s annual competition for the best-designed book of the year. Aukso žuvys is a small company publishing fiction and non-fiction for adults, and illustrated books for children and teenagers. Our main area of interest is history, which is presented in a lively and original way. Baltos lankos was established in 1992, with the intention of publishing quality literature. 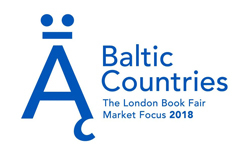 The range of our publications is very wide: new books by Lithuanian authors, translations of quality foreign literature, popular works of fiction, crime fiction, monographs, books for children, and academic writing. 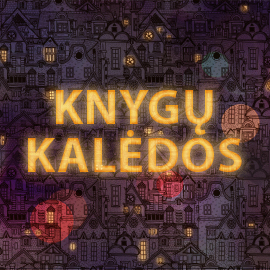 Debesų ganyklos is a publishing house with a fresh and innovative approach to children’s literature. We try to publish books for children that are easy to read, understand and enjoy. This is why we often involve our readers in the most creative parts of the publishing process. The publishing house Didakta focuses on educational publishing, which includes a range of various subjects. We offer a variety of educational and informational posters, reproductions and methodological publications for teachers and portrait galleries. These measures should interest teachers, and enable them to enrich the educational process. The main goal of Dominicus Lituanus is to publish high-quality fairy tales and fiction for children and teenagers. The books published by Dominicus Lituanus promote an inquiring spirit and humane values, they address the psychological and spiritual problems of teenagers, parents and children, and promote civil and ecological education. These ideas are presented playfully and creatively, and didacticism is avoided. Eugrimas is a publishing company from Lithuania with a focus on non-fiction: business, creative thinking, psychology, self-help, etc. Over our 20 years in the publishing business, we have successfully acquired copyright from the world’s largest publishers, and participated in numerous international projects. Our main activity is publishing fiction by Lithuanian and foreign authors, academic books on the humanities, and illustrated children books. Much attention is paid to the historical theme in the literary heritage. Original and novel publishing projects are among our main priorities. Justitia is a publishing house specialising in legal literature. We publish textbooks, monographs, educational tools, commentaries on codes, and legal periodicals intended for current and future lawyers. Our authors are the most famous Lithuanian legal scholars and practitioners, who create Lithuanian legal doctrine, and open the way to the cognition of the world of legal science and practice. Our readers include judges, lawyers, government officials, corporate lawyers and students of law. The publishing house Katalikų pasaulio leidiniai is one of the main publishers of religious, philosophical, psychological, catechetical and other literature in Lithuania. We also bring out textbooks for religious education in schools, and the annual publications “Catholic Directory” and “Liturgical Calendar”. 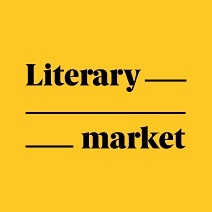 An independent Lithuanian publisher publishing quality, award-winning books of contemporary and classic literature, poetry, culture, fiction and non-fiction, philosophy and psychology. We see our mission as the publishing of eye-opening, controversial books that provoke intellectual and public discussion. Lapas is a small independent publishing house based in Lithuania. It focuses mainly on architecture and artists’ books. We are interested in publishing books as design objects, as well as making the publication of a book an important public event, with associated exhibitions and talks, etc. Once a year, Lapas prepares and publishes a special lifestyle book with distinctive content. The joint stock company Lengvas būdas focuses on publishing simple and effective material which helps to deal with various addictions, phobias, and other psychological problems. This is the only organisation in the country permanently engaged in publishing fiction and scholarly and journalistic work on the subject of the resistance and the genocide carried out by occupying regimes: they include the journal “Genocide and Resistance”, a list of the names of victims of the genocide, monographs, studies, collections of documents, and memoirs. Lithuania’s main library prepares and publishes national and retrospective bibliography, informational and methodological publications, collections of research articles, professional periodicals, and other publications. The National Museum of Lithuania has the country’s most important museum collection about Lithuania’s historical heritage. Its publishing activity is closely related to the research and promotion of its collection. The most important part is the publication of scholarly and informational material related to the collection, exhibition catalogues and illustrated books, and research material in the series “The Library of the National Museum of Lithuania”, “The History of Lithuanian Photography” and “From the Archives of the National Museum of Lithuania”. The Lithuanian Writers’ Union Publishers focus on new books by Lithuanian authors, including prose, poetry, essays and critical studies, books from the literary canon and books by exiled authors, as well as translations of quality foreign literature. The output of our publishing house is characterised by strict selection, and high-quality printing and design. It's a state-run research institute, implementing long-term investigations into Lithuanian literature, folklore and the literary heritage of old Lithuania. The Institute publishes books, periodicals and research publications. It also publishes e-books and creates databases. Its publishing specialisations are the following: encyclopedias, academic papers, serial publications, monographs, written sources on the Grand Duchy of Lithuania, folklore and modern literature, research publications, and research. These publications are aimed at the academic world and the general public. 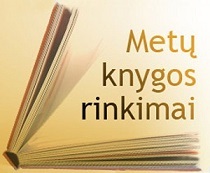 The MO muziejus (MO Museum) has published 24 books aimed at educating children, young people and adults. In the future, MAC plans to publish museum collection catalogues, catalogues of exhibitions, and art books. The Science and Encyclopedia Publishing Centre publishes general and specialist encyclopedias, monographs on social, natural and technical sciences, technical and linguistic dictionaries, scholarly works by foreign authors, popular science books, and the magazine Gimtoji kalba. The publishing house Presvika was established in 1996. Since then, it has brought out a large number of books, both by Lithuanian authors and translations. We focus on educational, psychological and cognitive children’s literature, although we publish attractive books of children’s fiction as well. Šviesa is the most experienced national publisher of educational literature, and a provider of interactive learning content. It offers quality educational material, based on innovative methodology, as well providing interactive learning solutions for teachers and students. The publishing house has won various national and international awards for its innovative solutions in the field of education. Terra Publica’s motto is “Books for and about Lithuania!” The company publishes books written and illustrated by Lithuanian authors that are interesting both to Lithuanians and to tourists from abroad. Thanks to the great attention paid to tourism in Lithuania, it has already been named the most nationally oriented publishing house. This very young publisher (operating since 2014) produces high-quality books for boys and girls from four to 14 years old. It is willing to offer the foreign rights to approximately 35 titles by excellent authors and artistic illustrators. Tyto alba publishing house is one of the leading Lithuanian publishers of classic and contemporary fiction and non-fiction. Our list also includes self-help books popularising contemporary psychology and healthy lifestyles. We have recently started publishing both original and translated literature for children. Founded in 1945, Vaga is the oldest publishing house in Lithuania, continuing the best traditions of recent years. We publish quality classic literature, we launch prize-winning authors of modern fiction, and we continue to expand our series of psychological and other non-fiction books. Leidybinių inovacijų pagalba padedame vaikams su regos negalia skaityti tokias pačias knygas kaip regintieji ir jaustis lygiaverčiais skaitytojais. Reginčius vaikus pažindiname su neregimu pasauliu ir Brailio raštu, o edukacinių programų dėka laviname lytėjimo pojūtį bei ugdome augančios kartos toleranciją ir vertybes. Established in 1993, the Vilnius Academy of Art Press publishes monographs, studies and articles in the field of art history and theory. Since its inception, the publishing house has brought out the scholarly journal Acta Academiae Artium Vilnensis. Dedicated to both the cultural heritage and contemporary art phenomena, the art books, catalogues and reference books published by the press play a significant role in the analysis of Lithuanian art. This year, the publishing house Žuvėdra (the Lithuanian word for a seagull) celebrates its 25th anniversary since its foundation by the writer Stasys Lipskis. During these years, it has published more than 200 titles, with an overall print run of more than one million copies. The main thematic directions of the publishing house are prose, poetry, children’s literature and leisure time guides. Although this may look risky in the eyes of other publishers, it still finds readers to this day. 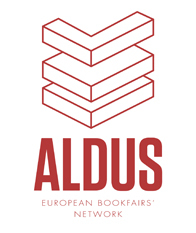 Copyright © 2019 Lithuanian Publishers Association. All Rights Reserved.